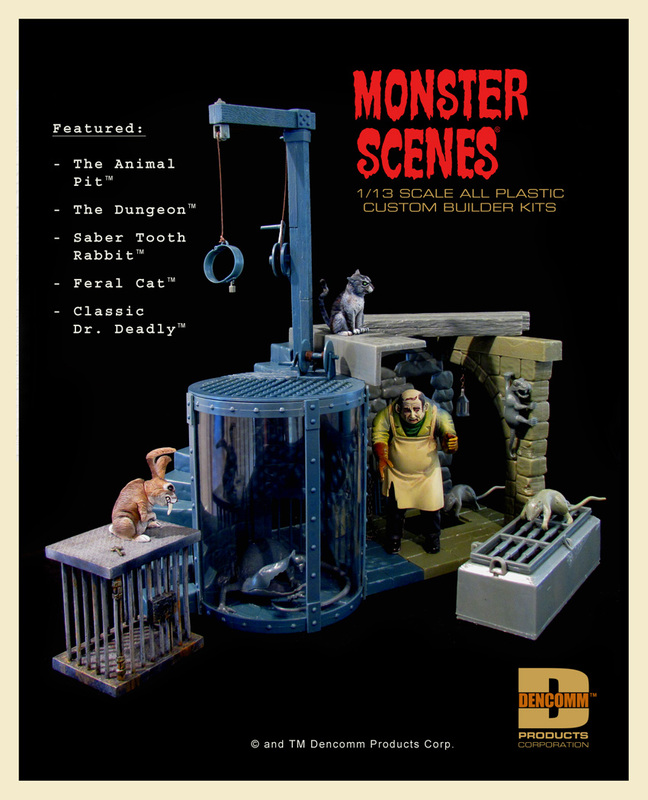 Last week we announced the upcoming release of the Monster Scenes “Animal Pit” and “Dungeon” kits – the two most sought-after kits for the past 40 years. Today, we’ll give you a look into the expanding realm of Monster Scenes and specifically how these two new kits will serve as the anchor pieces to the next wave of Monster Scenes kits. Plus, you’ll get an idea of the impressive size of these two new 1/13 scale kits given we’ve let loose our Classic Dr. Deadly as well as our Saber Tooth Rabbit and Feral Cat. 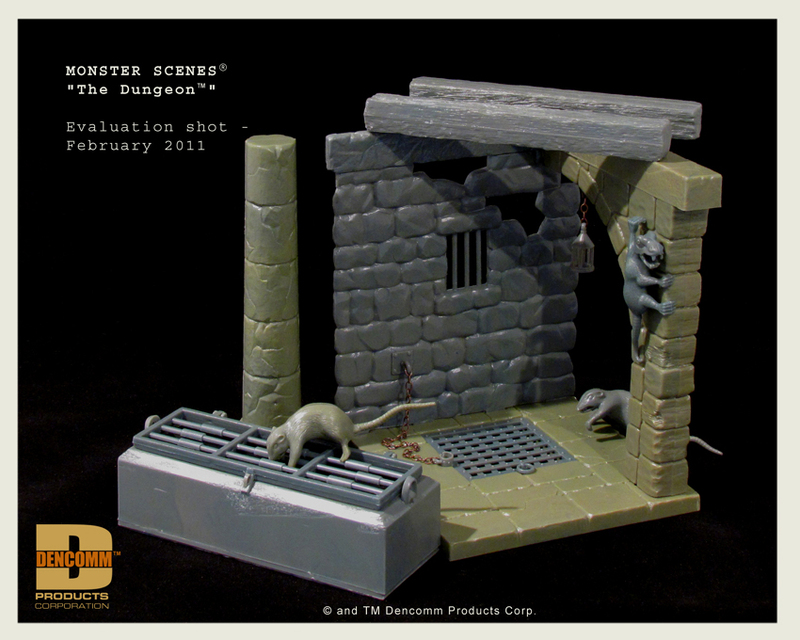 40 years in the making: The Animal Pit™ and The Dungeon™ are coming! Believe it – the most sought-after kits of the Monster Scenes® series are coming your way! 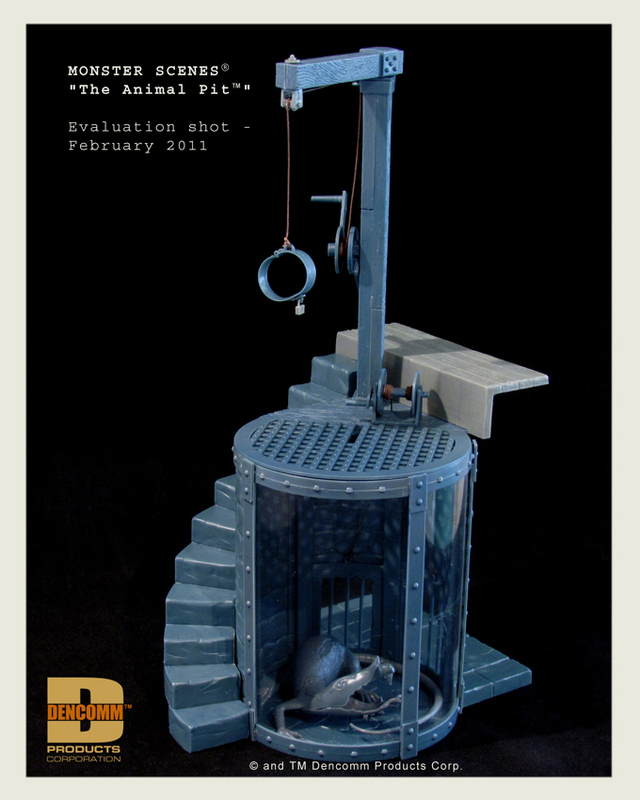 Get ready for “The Animal Pit™” and “The Dungeon™”, in plastic and only from Dencomm Products Intl. We’re pleased to let you know that these kits, often referred to as the “lost kits” of the Monster Scenes series, are being produced exclusively by Dencomm using the original Aurora molds! Having successfully located and acquired these molds, the Dencomm team is working to complete this ambitious project that was started over 40 years ago. For now, enjoy these exclusive “evaluation shot” photos. 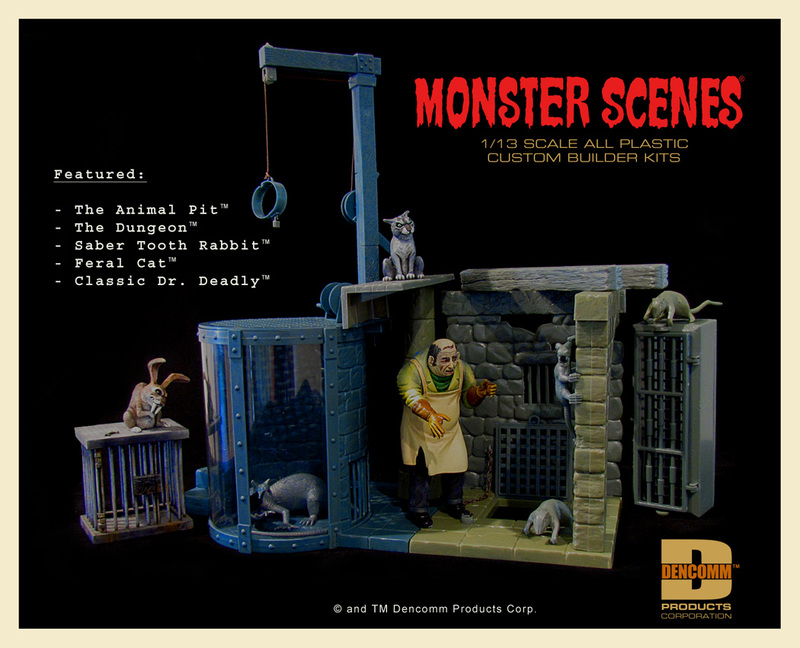 Then, be sure to visit this Monster Scenes Journal blog on a regular basis for more photos, information, and updates as we ready these kits for release. After 40 years, “The Animal Pit” and “The Dungeon” are coming your way – because haven’t you waited long enough? You are currently browsing the Monster Scenes Official Blog blog archives for May, 2011.